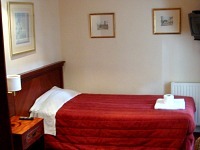 Book a stay at Osborne Hotel and you’ll be based in a convenient location in Acton, West London. From here you find a number of local attractions to visit during your stay and these include the Ealing Broadway Shopping Centre and Gunnersbury Park. 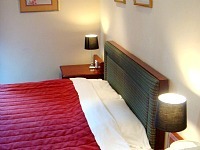 Acton Town Tube Station is handily placed just a short walk from this cheap hotel in London. From here you can enjoy fast transport links into Central London and visit famous attractions such as Oxford Street and Leicester Square. 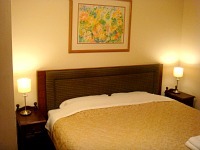 You’ll find a selection of single, double and twin rooms at Osborne Hotel, all of which come with the comfort of your own private bathroom. 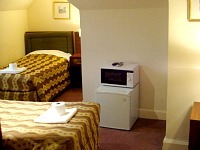 In your room you will be able to make a hot drink, cook food in the microwave and store your refreshments in the fridge. The room also has a multi channel freeview TV for you to watch. As well as all of this you can request WiFi access to ensure you can check on your emails. 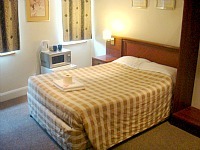 Book this inexpensive London hotel today! 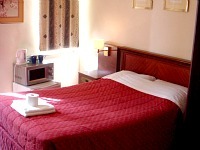 Osborne Hotel is within easy reach of both Ealing Broadway and Westfield London shopping centres. In the local area you will also find plenty of great bars, restaurants and cafes to check out, and Gunnersbury Park is ideal for a relaxing stroll or picnic. For fast travel to other London attractions such as the London Eye, London Zoo, Trafalgar Square, the Houses of Parliament and Westminster Cathedral, you can just hop on a tube at nearby Acton Town Tube Station. 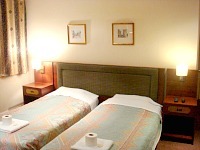 The closest tube station to Osborne Hotel is Acton Town, which is served by the District and Piccadilly lines. Head out of Acton Town Tube Station onto Gunnersbury Road and almost immediately turn left into Bollo Lane. Next turn left onto Osborne Road London, where you’ll soon find Osborne Hotel at number 294.